Bakery. Germans love 'em. A German bakery is full of all sorts of breads, pastries, pies, cakes, tarts, brezels, fresh sandwiches and more. It's really a culinary delight. Bakeries here open very early, six o' clock, so that people on the way to work or school can stop by for a morning pleasure or for something to enjoy later in the day. Many bakeries are meeting places for the locals with a large sitting area to while away the day looking over the newspaper or talking with friends. The Barbarossa Bäckerei just a short walk from our house. Bakeries really are everywhere in Germany. When you go to Praktiker (like Home Depot) there's a bakery there, right in the hardware store. Go into Saturn (like Best Buy) there's a bakery there. On Saturdays, here in Weilerbach, there's a little open market in the parking lot next to our Barbarossa Bäckerei where they have a vegetable vendor, a meat and cheese vendor and a bakery vendor. 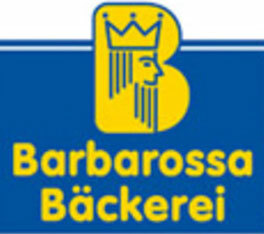 A privately owned bakery vendor with no affiliation to Bararossa Bäckerei. More bakery products not even a hundred feet from the front door of our Bararossa Bäckerei. And, every Saturday, the market bakery guy sells out his complete inventory. Go into almost any gas station of reasonable size and they'll have a little bakery section with fresh items. Walk along the shopping area in any city and there's going to be a number of bakeries, not more than a couple hundred feet from one to the next, with an open air window to the street where you can step up and get a hot brezel or any other fine pastry they might make. Privately owned Schmitt Bäckerei also just a short walk from our house. Germans often visit their local Bäckerei with their wicker basket in hand. It's certainly not uncommon to see them walk out with four or five loaves of various types of bread. Not surprisingly, their breads are wonderful. In fact, I'd say that the world's greatest food combination is an excellent piece of bread and some real butter. Germans do both very, very well. And everything else in a German Bäckerei is equally good. And, in fact, on this Saturday morning, that's where Jeff and I are going right now. Can't wait! I remember one year in the early 80"s in Kaiserslautern, as a prank, a group of teens took all the brotchen from one of the major bakeries ( Barbarossa?) and lined them in a path thoughout the city. The area was short on brotchen that day but the birds were well feed. I'm sad that we did not get to go to Barbarossa while we were there. I can't believe how busy we were that we did not even walk down the street haha. We will have to go when we are there in 2012. That comment is funny about the kids lining up the bread on the streets too.